At Clintons we’ve got thousands of greeting cards plus gifts and wrap designs to ensure we offer you the best possible choice. From our Value Cards which start at only 49p, to our luxury greeting card range, PAPYRUS, we’re sure you’ll find the perfect card for every occasion. If you want to celebrate in style, you’ll also find a wide range of balloons, decorations and accessories and don’t forget, we’ll inflate your balloons for free (excludes latex designs). 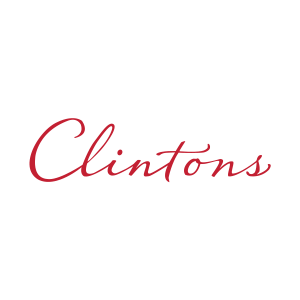 Clintons at the Howard Centre now offers Thorntons Chocolates within their rangeof gifts.